What are the most essential things to do in Seattle? Located in the damp northwest corner of the Pacific Northwest, Seattle does see its fair share of rainy days throughout the course of any given year. It does have its positive side though, as the abundant moisture gives rise to greenery that has led to it being dubbed as the Emerald City. The vibrancy of the Pacific Northwest’s biggest city is palpable at Pike Place Market, where farmers and fisherfolk from the immeadiate area come to sell their wares. The authenticity of this market stems from the fact that it is one of America’s oldest continuously running farmer’s markets, having been founded in 1907. It is here where Starbucks sold their first cup of coffee in 1971, and where the fishmongers at the Pike Place Fish Market put on a show using their tactile skills in handling their slippery and fresh product everyday. This place is worth checking out if fresh food is one of your main passions! In the 1990’s, Seattle had one of the nation’s most prolific music scenes, birthing the likes of Nirvana, Pearl Jam, and Alice in Chains among others. This track record in producing music that lovers of the medium took to with such fervor led local leaders to establish the Experience Music Project, which is a museum that chronicles popular culture as it has unfolded in the late 20th century. In addition to covering musical acts, exhibits cover film, video games and other mediums of culture that have influenced us in the modern age, making this museum a must visit among any other cultural institutions that you plan on visiting during your visit to Seattle. 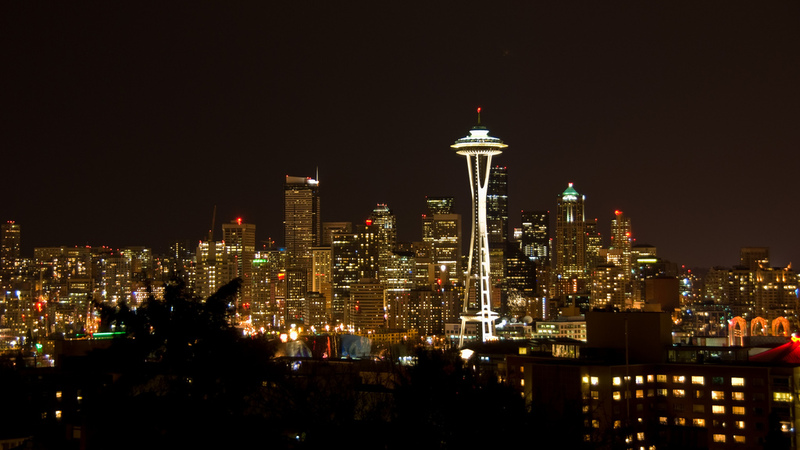 Piercing the Seattle skyline at a maximum height of 605 feet, the Space Needle is an iconic symbol of this west coast city, thus making it an attraction that you must check out before heading out to other destinations in the area. The observation deck permits views of the skyscrapers that comprise downtown Seattle, as well the peaks of the Olympic Range and the islands of Puget Sound to the west, and the massive edifice of Mount Rainier to the east. The observation level also hosts Skycity Restaurant, which slowly revolves to allow a 360 degree view of the scenery that surrounds you, which pairs quite well with the food served here, which features the best cuisine that the Pacific Northwest has to offer. There is little doubt that the Space Needle is a real icon of Seattle. I keep reading that the city has so much more to offer and well worth the adventure. Hopefully one day I can taste it for myself. I didn’t quite realise that the city created such a range of musical talent.